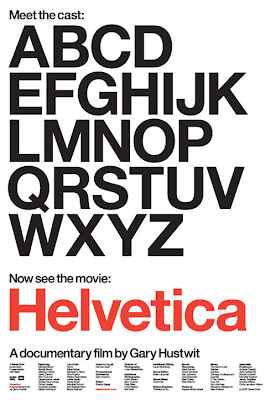 As many designers are aware of, Helvetica is a font used in many famous logos such as American Apparel, Staples, Sears, etc. I was so excited to hear that there was a documentary made in 2007 about the font! I will definitely be looking for a copy of the documentary tonight. Even better news? Paula Scher is one of the interviewees (she's my design idol). I believe it is on Instant on Netflix, if you have that.